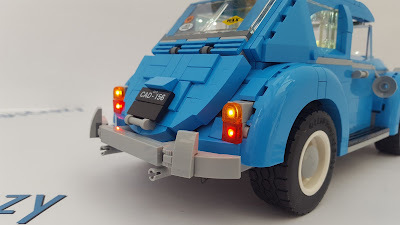 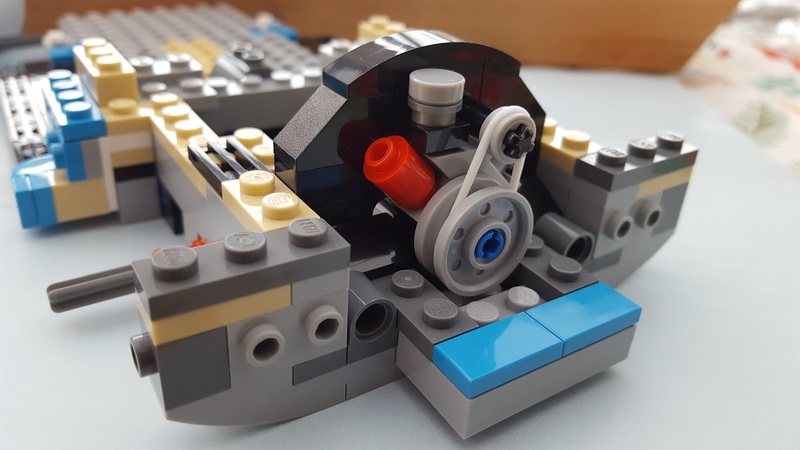 I put a video together of the install of the LED light kit into the Lego Volkswagen Beetle when I fitted it. 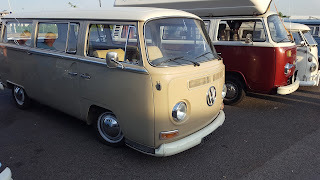 To see the video please click here. Don't forget to Subscribe to the T2BusCrazy YouTube channel! 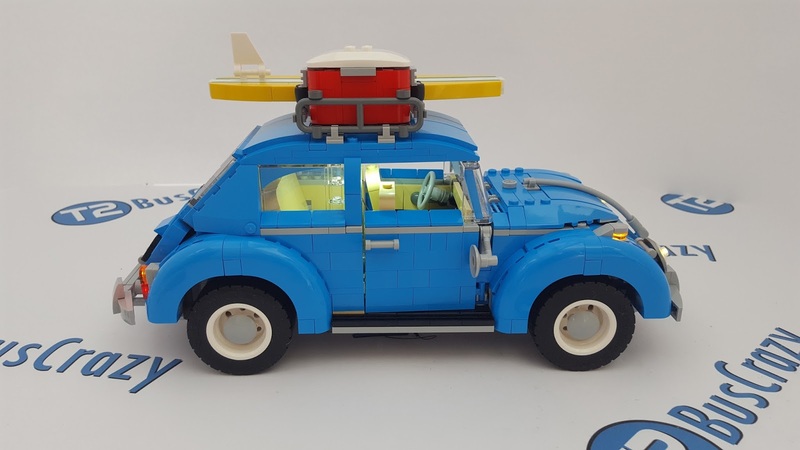 The LEGO VW Beetle for Christmas! 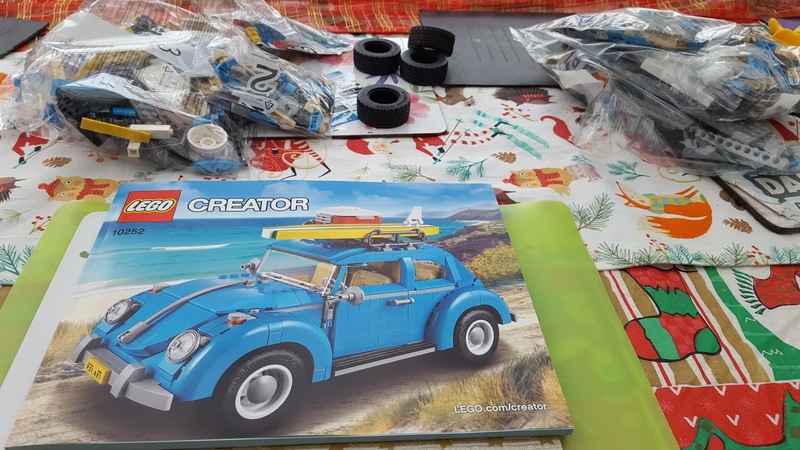 Christmas 2017 and I had to ask for the LEGO VW Beetle to go with the VW Camper already sitting on the shelf! It's a great build and does look good. I had to compliment it with the LED light kit as well, just as I had done with the Camper! 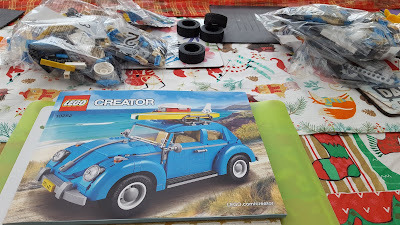 Time to take up the dining table! 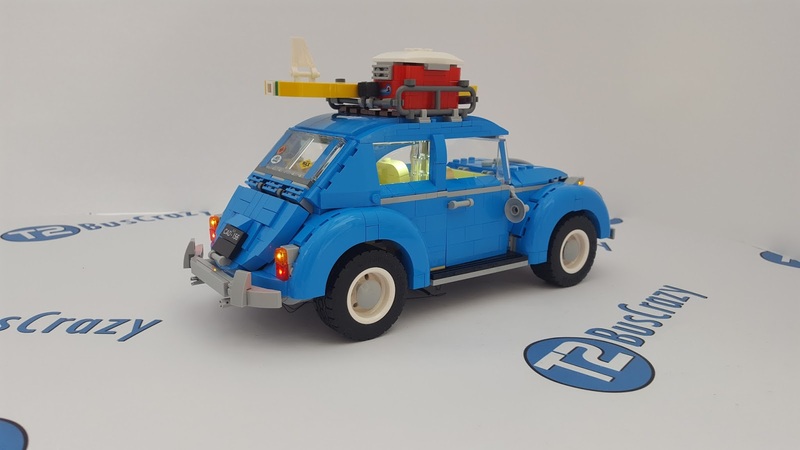 A great finished model although there have been comments it resembles the 2CV! 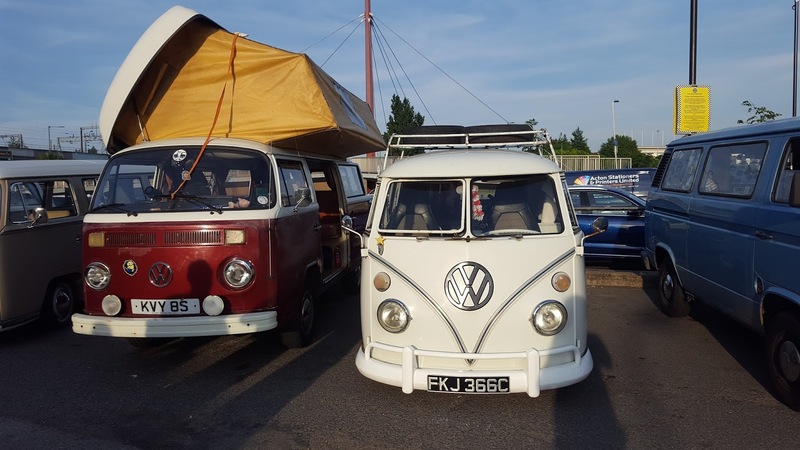 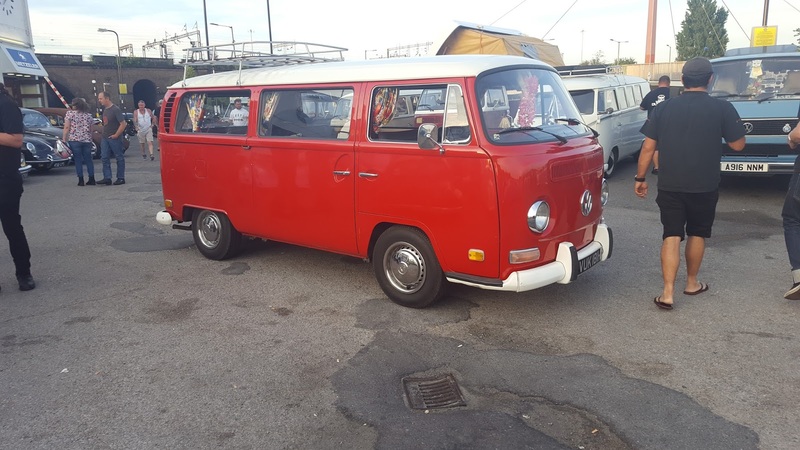 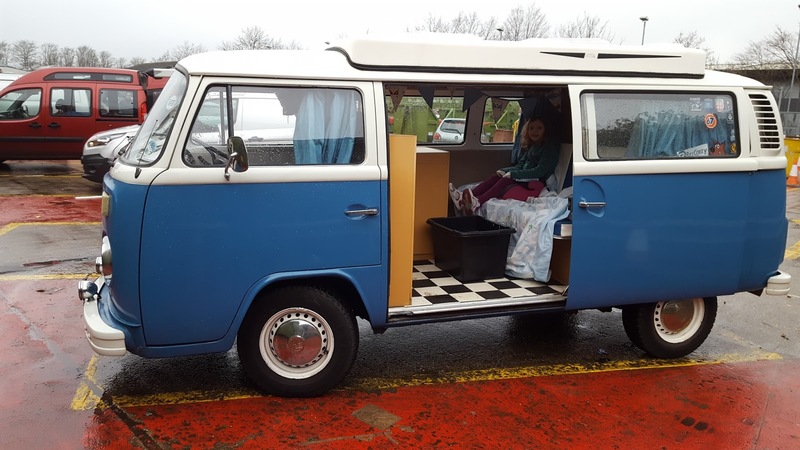 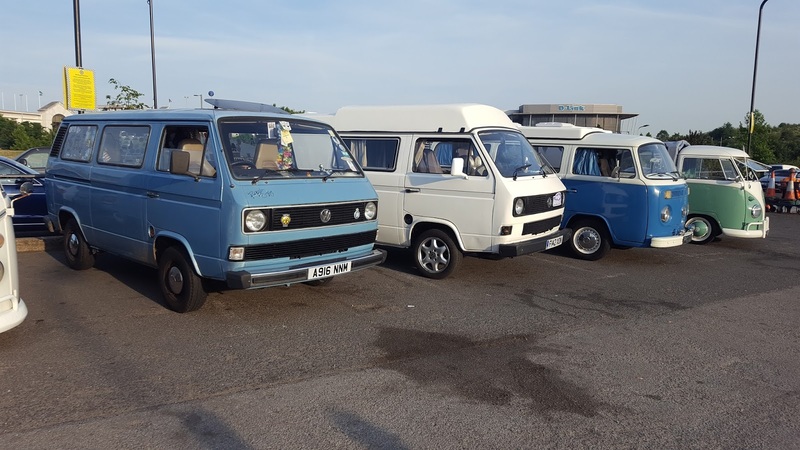 I've seen loads of pictures of people with there VW's at the Ace Cafe before and always wanted to get my Camper there. 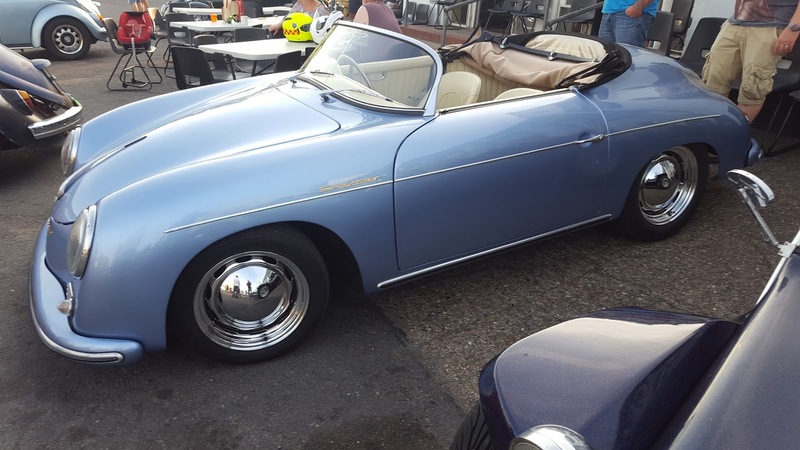 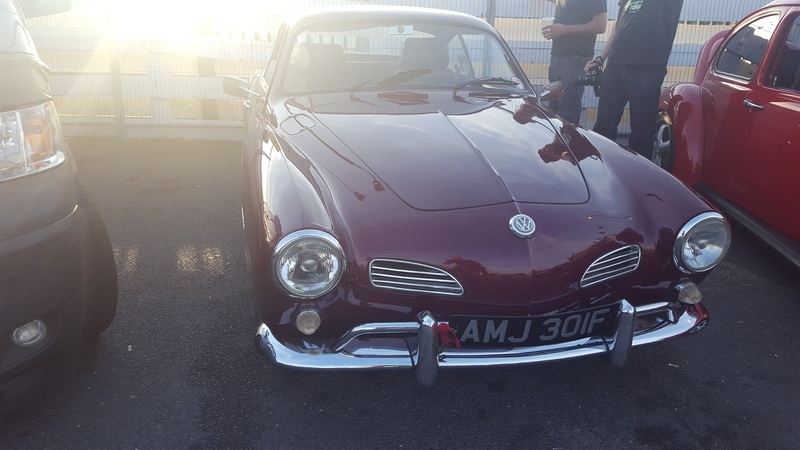 I saw a link pop up on Facebook for the Aircooled VW meet on the 20th June 2017 so thought this is my chance! 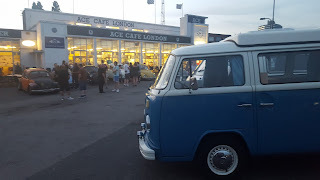 I noticed on the event that a couple of people I chat to had put themselves as interested so sent out some messages to see if anyone was interested in letting me tag along. 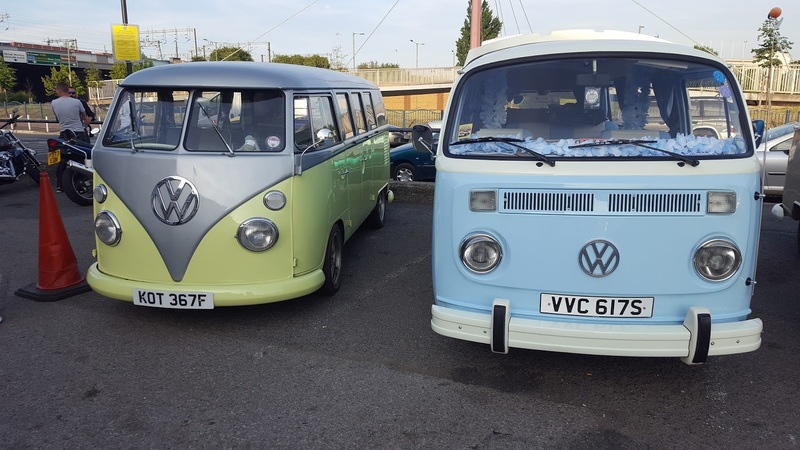 Declan who lives near me replied and said he would be going along about the same time as I was leaving, so we arranged to meet up. 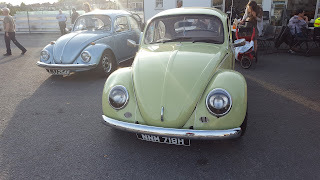 6.30 we met and set off, Declan in his beautiful Beetle and me in my camper. We had a nice cruise there, not to much traffic and a steady pace due to my camper! When we arrived it had started to fill up already with Beetles, Buses, T4's but we managed to fit in ok. I met Darren there who owns the lovely split and Simon with his freshly painted grey bus. 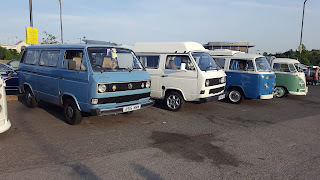 Just some pics below of vehicles that turned up. 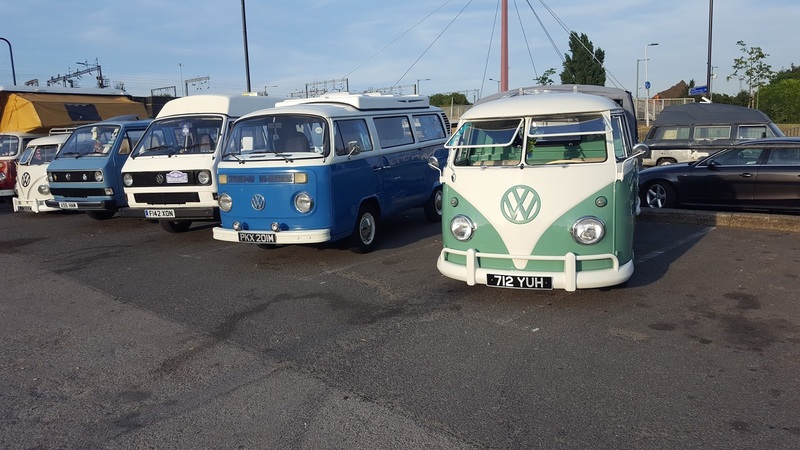 My Camper in amongst the others! 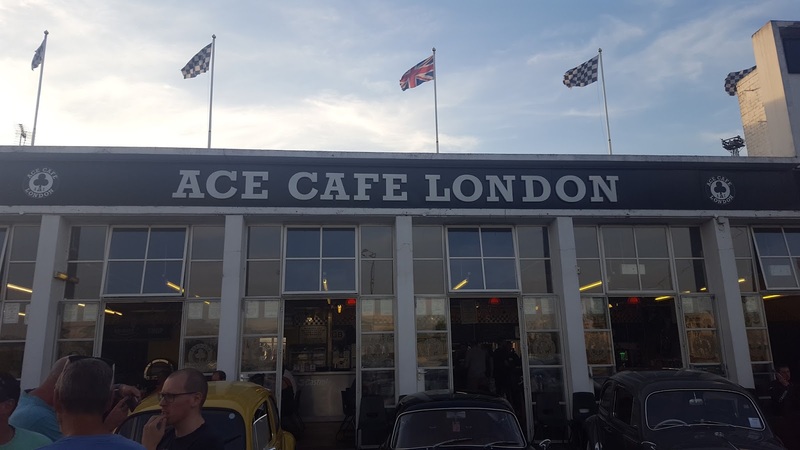 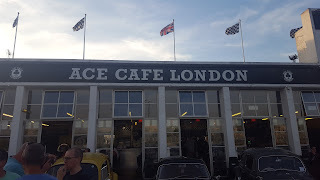 Had to get a shot of mine with the Ace Cafe London in the background! 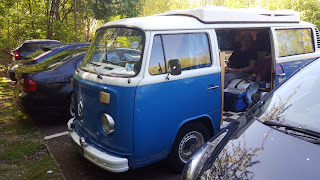 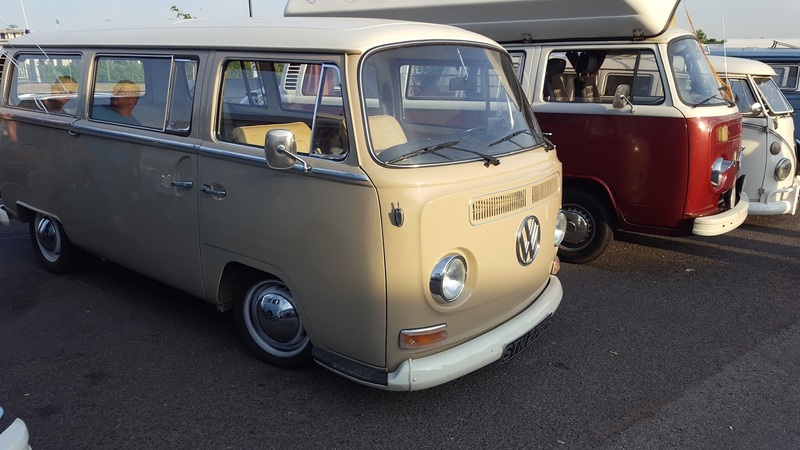 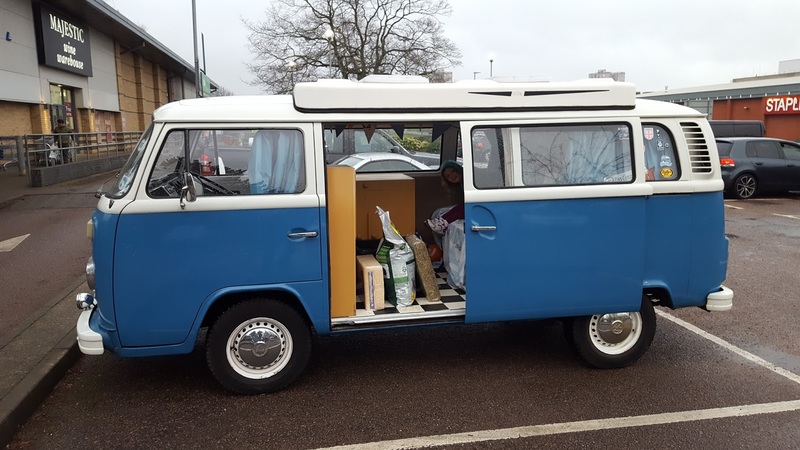 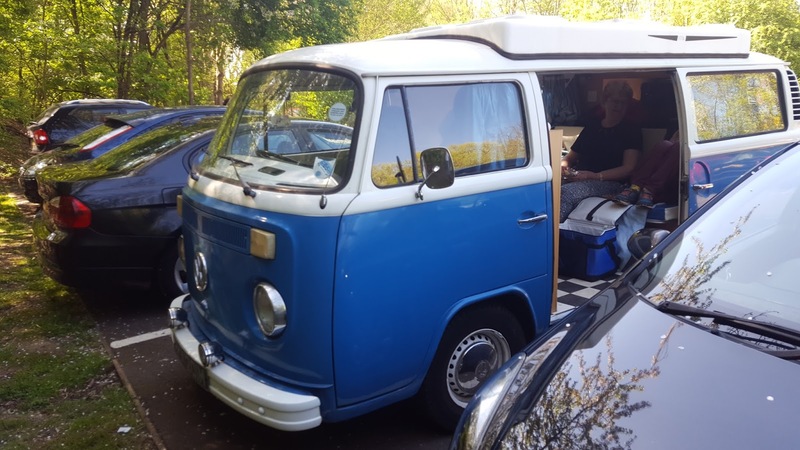 The weather was beautiful at the weekend so couldn't resist talking the camper out for a short run! 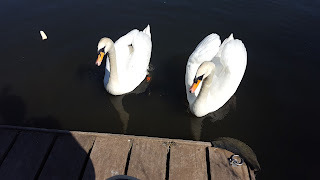 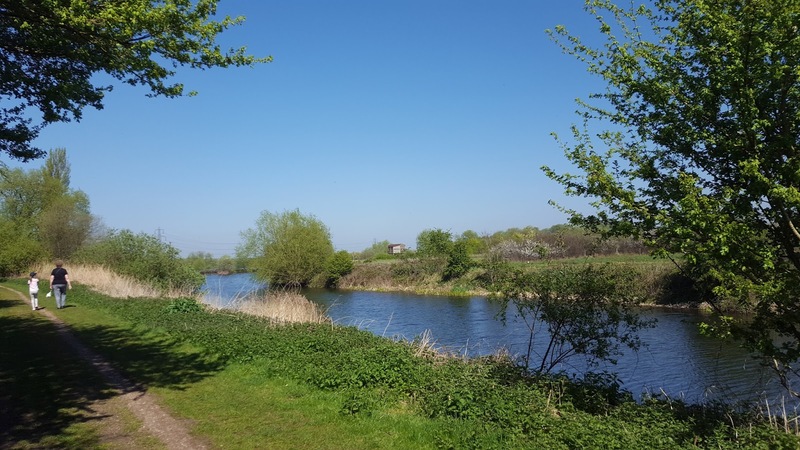 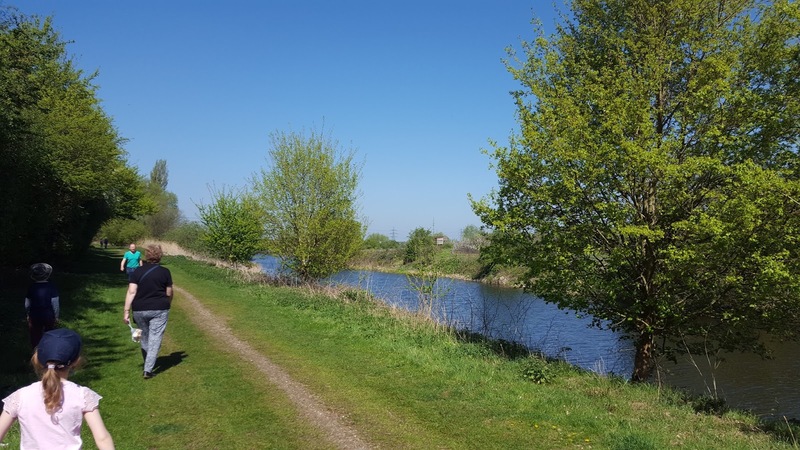 We went over to Fishers green which is along the crooked mile just up from Waltham Abbey. 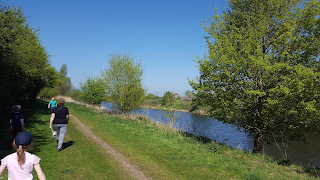 It's a lovely place consisting of many lakes and a couple of rivers running through it. We then went on to The Crown pub in Broxbourne, it sits right on the river so you can watch the boats go by. Quick bite to eat with a cuppa! 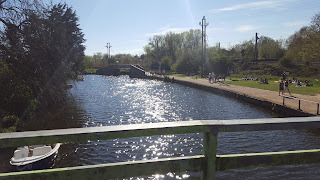 The bridge by The Crown pub. 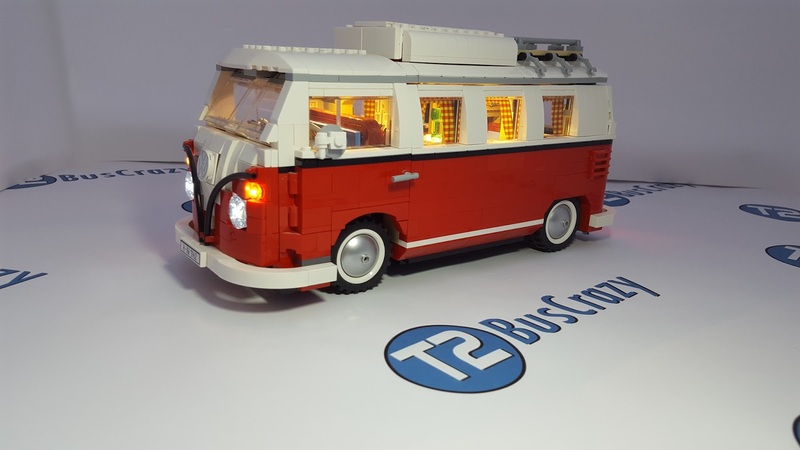 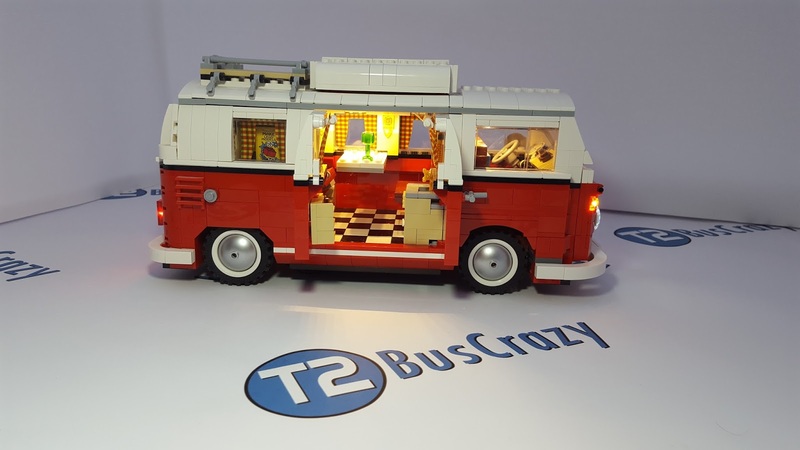 I had some stickers printed of the T2BusCrazy logo and with these came a smaller couple for the Lego Camper. 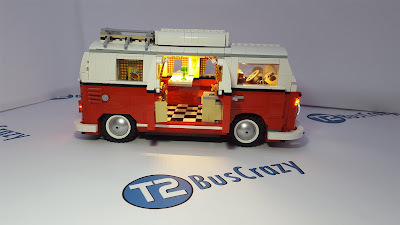 I've been interested in Stop motion for a while now and thought I'd have a little play with my sons Lego figures, the sticker and the Camper! Click on the link below to check out the short video I created. 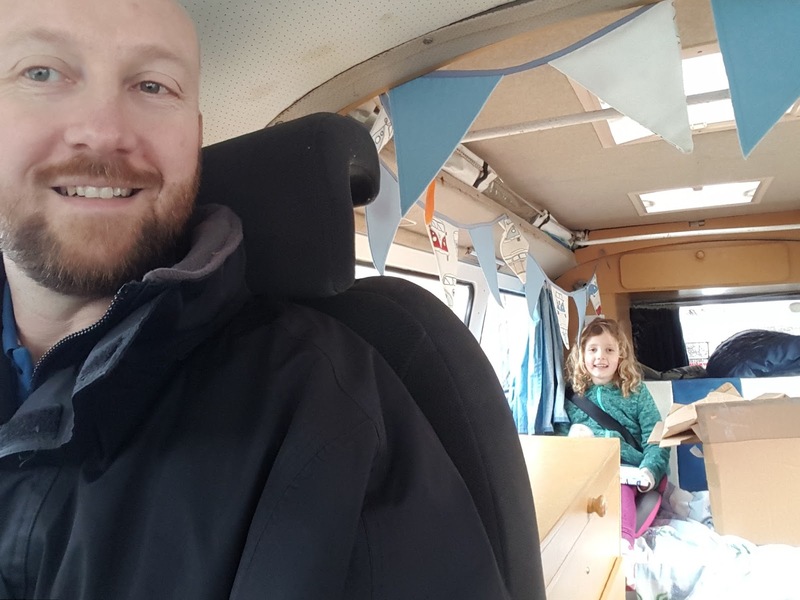 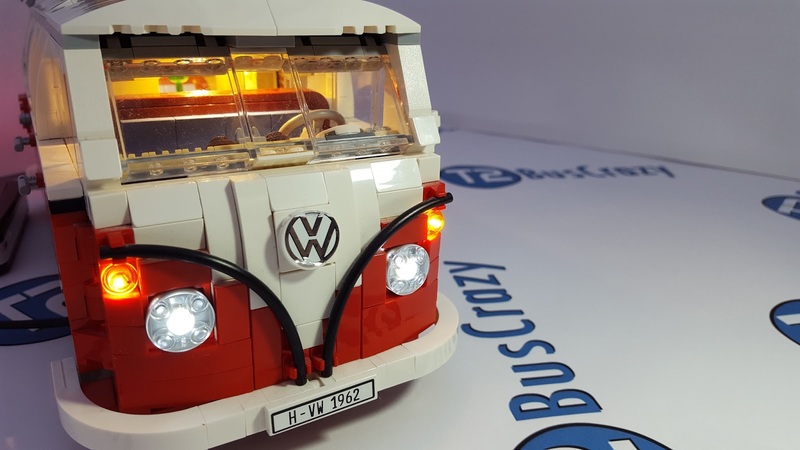 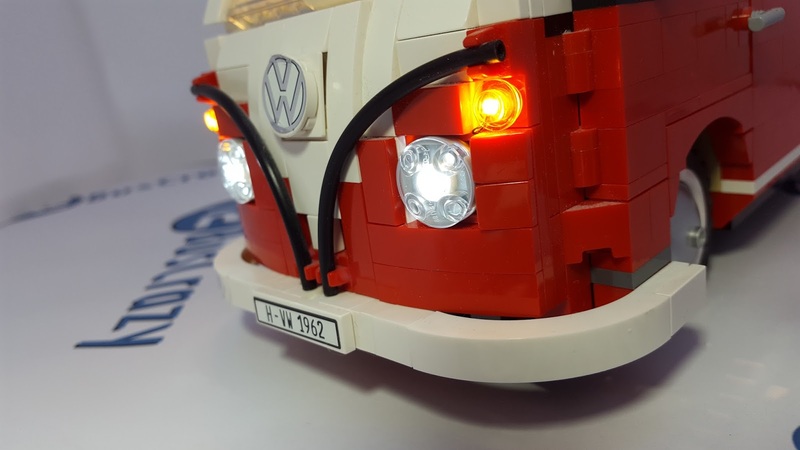 As mentioned in my last post, I have created a video of the installation of the LED light kit into the LEGO VW Campervan and I've finally got around to posting it! So click HERE for the link. 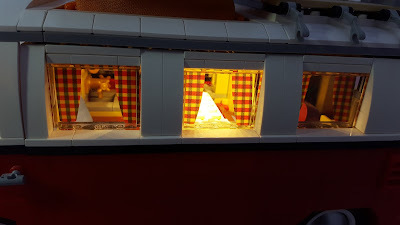 I got the Lego Camper last year and what a great build it was. 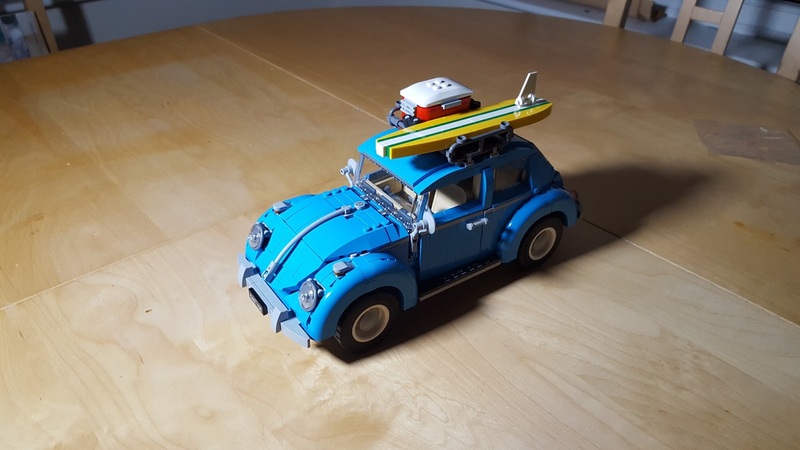 Very detailed, a great model. I saw someone post a link to an LED light kit for it on Facebook so thought I'd take a look. The kit was for sale on eBay. 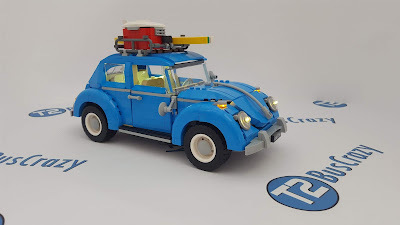 I found a couple of reviews on the web and people said it was a good kit. Anyway, the kit arrived and I was really impressed. The item was packaged really neatly and came with clear instructions. I wanted to create an install video so it took me a while to set everything up but the actual process is fairly easy. I have put a few pictures below and will be putting the video up shortly which I will post a link to when it's done. 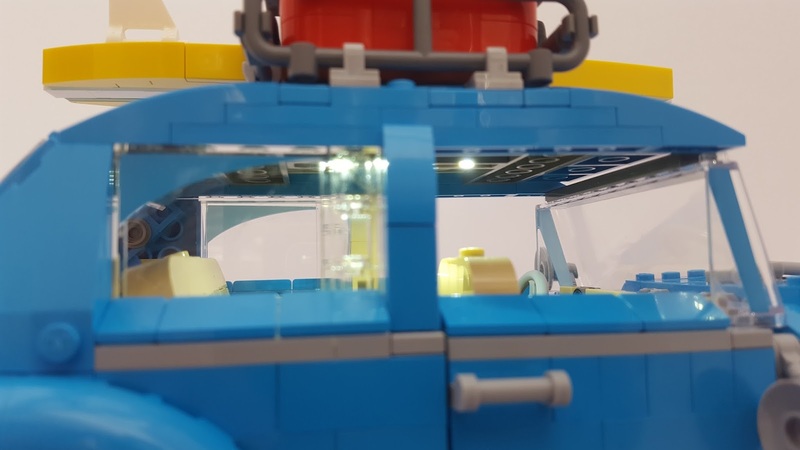 There are a 2 LED Lego strips inside, one in the cab roof and one in the central part of the roof. 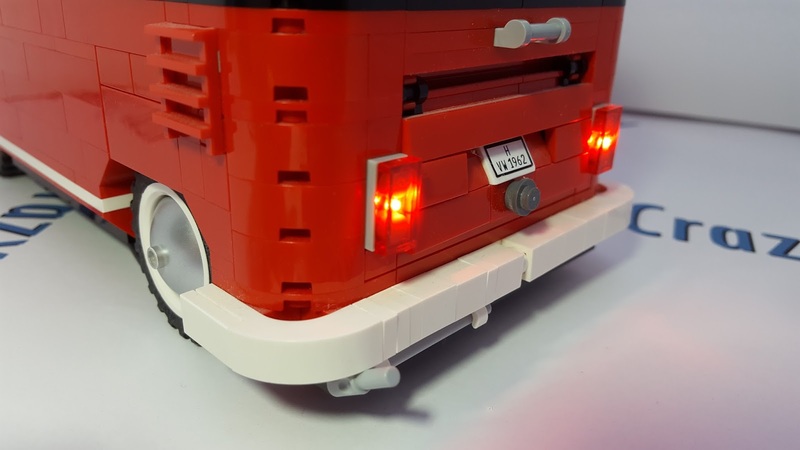 and new LED rear light bricks..
Click on the picture below for a link to the kit on Amazon. 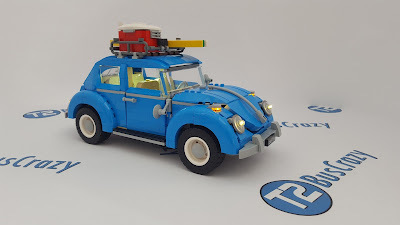 I got my Volkswagen Beetle RC car last Christmas and haven't used it much. 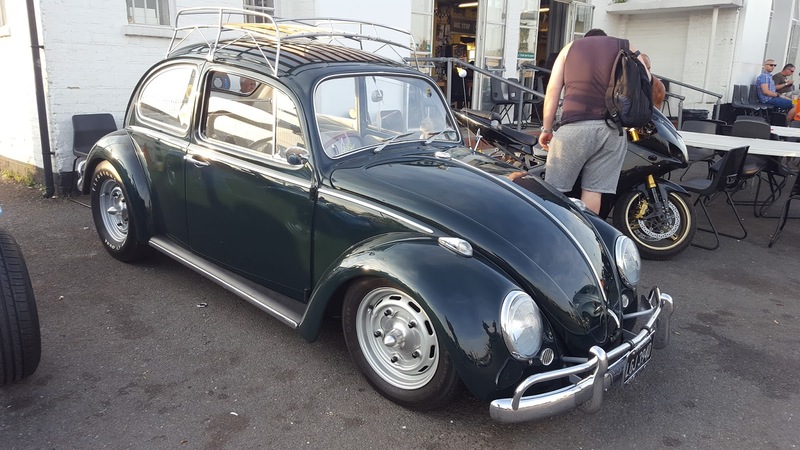 To be honest want to try not to damage it to much! 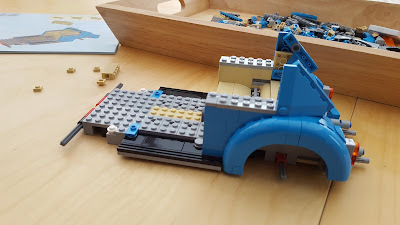 already had a couple of accidents and need to replace the front bumper and wing mirror. 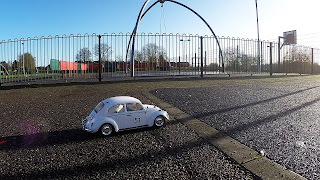 I decided to take it for a short run over the local park where there is a small track for the younger kids to run around. This came in handy for my 1/10 scale car! 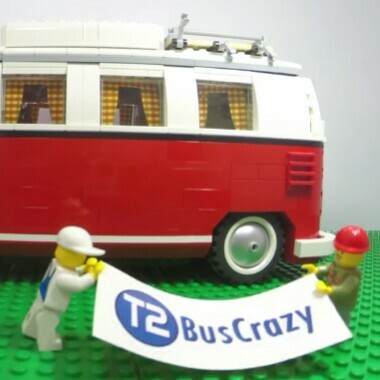 I put a short video together which is on the T2BusCrazy YouTube channel, link below. 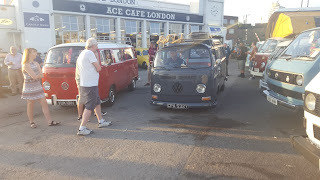 Not had much of a chance to get out in the bus recently due to other things going on. 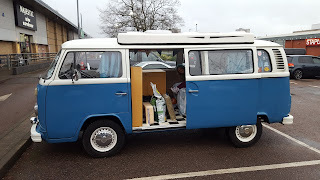 Managed to get it out once over Christmas, just for a short trip to the local rubbish dump and Pets at home! Took a while to start because I haven't run it for about 4 months now. 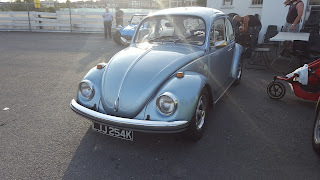 Once started it took a time to warm the engine up but then seemed ok. Nice to drive it again after so long!. 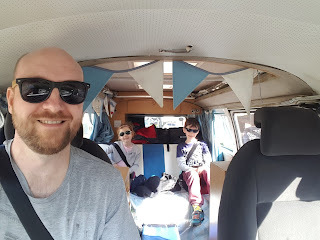 Quick visit to get rid of the Christmas rubbish! 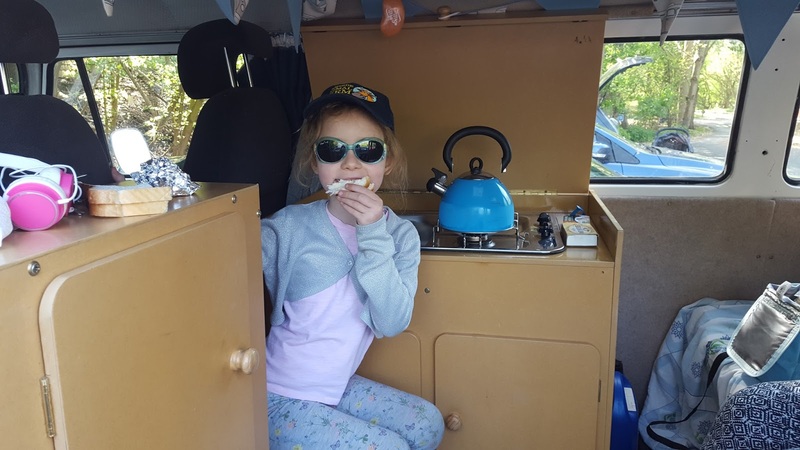 Stocking up on Rabbit food!